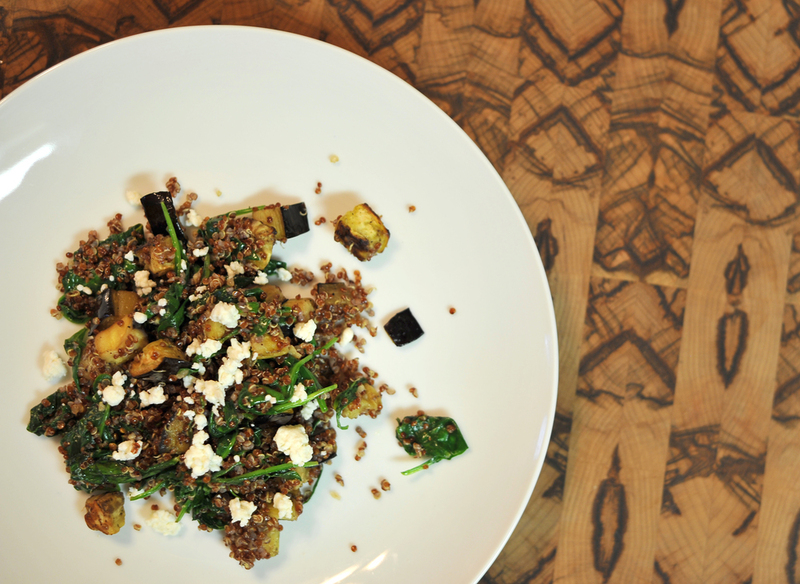 Roasted Eggplant with Quinoa and Feta. "When you cut that eggplant up and you roast it in the oven and you make the tomato sauce and you put it on top, your soul is in that food, and there's something about that that can never be made by a company that has three million employees." It's been one week since I moved into my Lincoln Park studio apartment. Is it clean yet? No. Am I organized? No. Is my refrigerator fully stocked with food? Absolutely not. So what am I eating for breakfast, lunch, and dinner you may ask? Well, I am glad you ask. Days 1 - 2: left over Lou Malnati's pizza from move-in day. Days 2 - 5: Dark chocolate cover pomegranate. Day 3: Annie's Shells and Real Aged Cheddar Macaroni & Cheese with Rex Goliath Pinot Noir. Day 4: Plain noodles. Day 5: Rice with soy sauce. Come day 6 I was ready for a little "real" food. Nothing against Annie's Mac & Cheese, I love Annie's Mac & Cheese (gimme all dat!). But some fresh produce sounded lovely. So I picked up my reusable grocery bag and walked the few short blocks to the organic grocery store. WHY does Lincoln Park have to be so damn trendy?! I just want regular food. In all honestly, I didn't have much money to spend as SoulCycle has been consuming much of my money. An addiction, perhaps, but at least I am putting money towards my health. Walking into the store, I hadn't the faintest what I would make. I knew that I had a bag of red quinoa in my cabinet (1 point to Tommy). 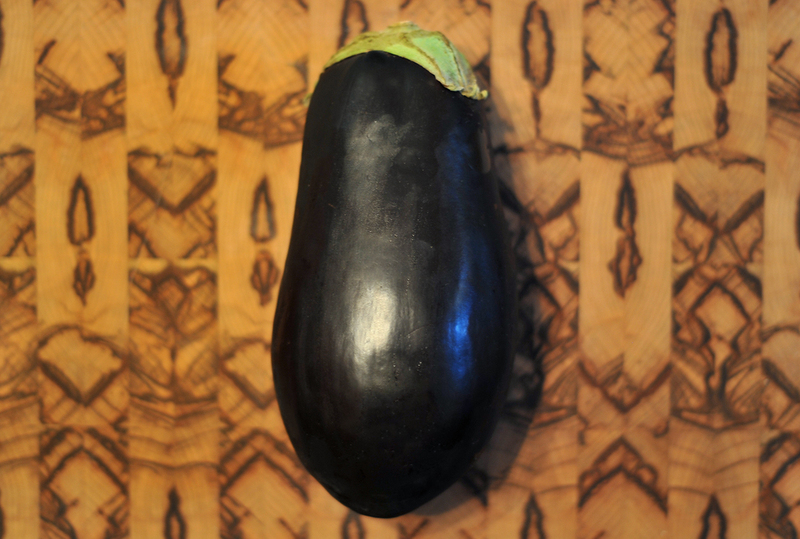 As I approached the produce, I was greeted by the most gorgeous eggplant. I've never cooked with eggplant before, but I immediately knew that I wanted to pair it with the quinoa. I shockingly had a small amount of feta in the fridge and decided to make it up on the fly. Hopefully something work turn out? And guess what! It did! The result is a deliciously healthy dish with heavy Mediterranean notes. It's a great vegetarian option, or even a side dish or salad if you'd like. Line a baking sheet with foil. Grease the sheet lightly with olive oil. 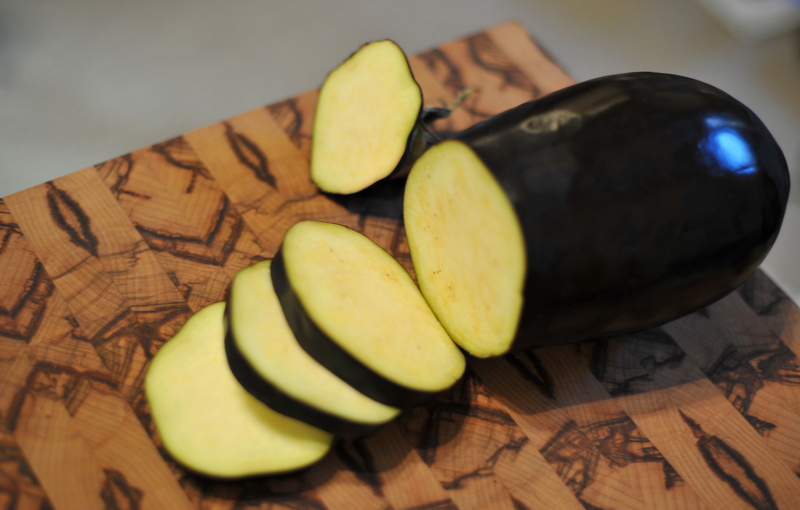 In a large bowl, mix cubed eggplant with 2 tablespoons olive oil, and season with salt and pepper. Spread chopped eggplant over the lightly greased baking sheet. Roast for 20-25 minutes until eggplant softens. Halfway through roasting, take out the sheet and flip over eggplant cubes. While eggplant is being roasted, heat 1 tablespoon of olive oil in a large skillet, add spinach and 1 minced garlic clove and cook for a couple of minutes, constantly stirring, just until spinach wilts. Remove from heat. Once eggplant is done, immediately remove it from the baking sheet into the same skillet with spinach, off heat. Immediately add quinoa and second clove of minced garlic. Mix everything well, off heat, and season with more salt if needed. Don't add too much salt or omit it altogether as you will be using Feta cheese too. Top with Feta cheese.